Women love accessories! 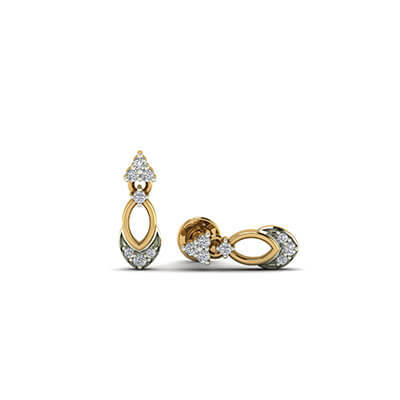 And there can’t be a better accessory to round off your look than a well matched pair of earrings. 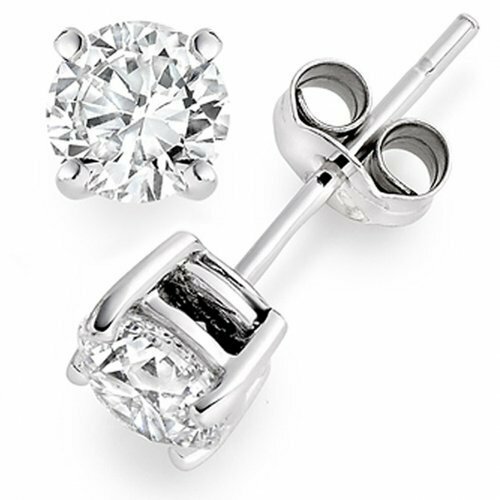 However, with a wide variety of styles available in the market, buying earrings could turn out to be an uphill task. In spite of being highly classy, a pair that does not match your style or attire might be enough to have a bad fashion day. So, be careful, women! Selecting a good pair of earring design is important. And to educate you in this process we bring to you the different earring styles along with some advice on how to should select them. 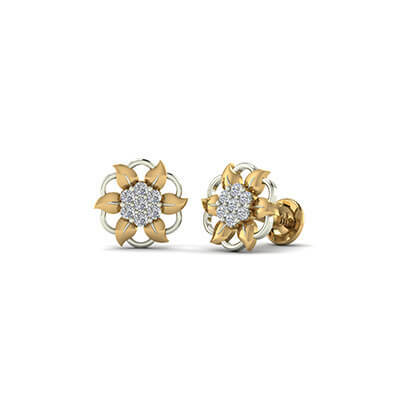 Versatile because of their design, studs sit directly on the earlobe. As there is no visible point of connection they appear to be floating. 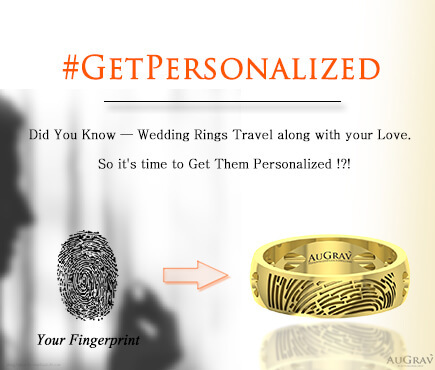 Possessing the look of a ring, this circular or semicircular design is open and passes through the ear piercings. These are available in a wide variety of shapes and sizes. This design mostly comprises of two parts. They consist of an attachment to the earlobe and some ornament that hangs from the attachment, giving a drop look to the piece. Dangles take the drop earring design to the next level. The hanging part of the design is constructed in a way that it sways and dangles below the earlobe. This design mirrors the shape of a chandelier and might consist of multiple levels of decorations. In some cases, they also give a dangling appearance. 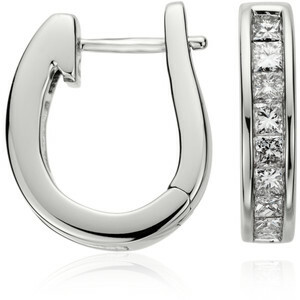 This is a variant of the hoop style earring. 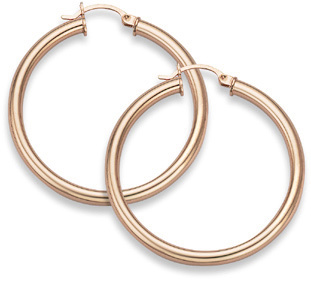 They are smaller than hoops and thus barely wrap the earlobes, giving a classy touch to your look. 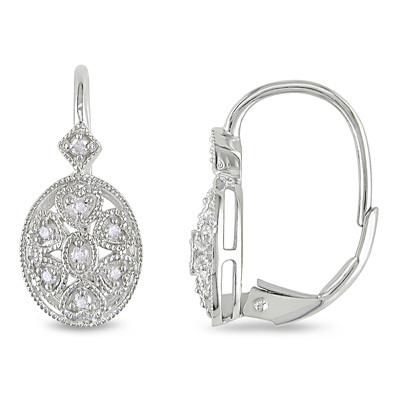 An extension of the drop style earring, this design features a hanging part that has the shape of a tear drop. 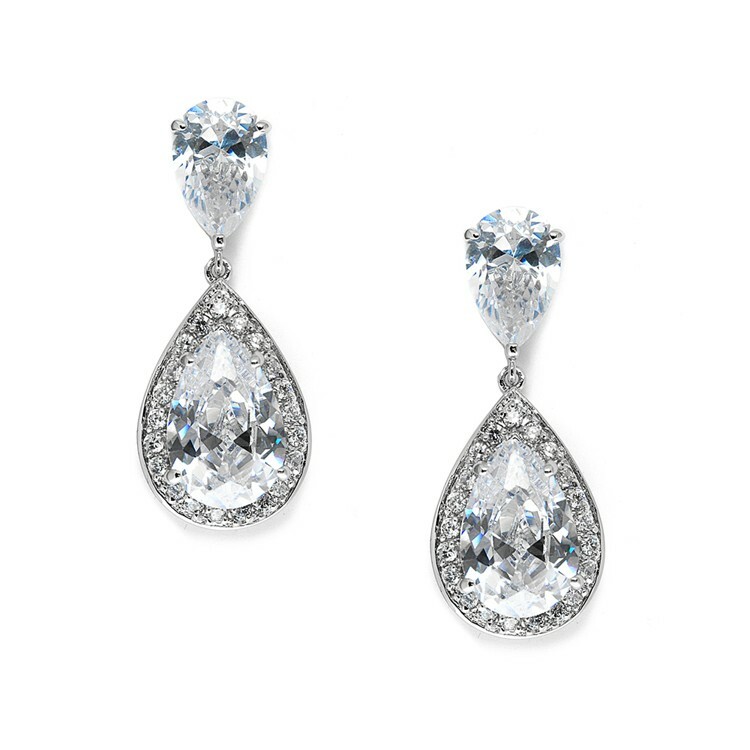 This design generally consists of tear drop shaped stones. A backing type means the mechanism by which the earrings connects to your earlobe piercing. And the backing type that your earrings use is an important aspect to consider from both a security and comfort point of view. 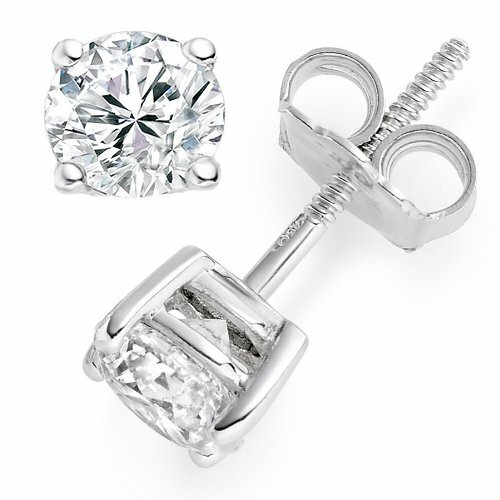 Let us take a look at the different kinds of earring backs that you can go for. 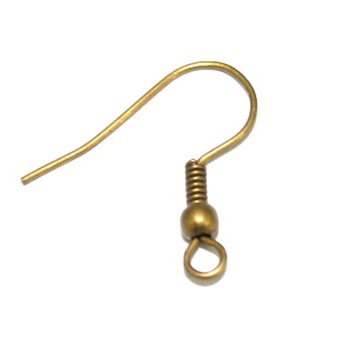 This consists of a long hook-shaped wire that goes into the piercing. As they are long enough, normally, these does not have any backings. Also, these are very easy to wear and remove. These hooks add stunning and adorable beauty to the person who wears them. The most common backing style, it has a small hole that slides onto the post. Generally, this backing is butterfly-shaped and hence it is also called butterfly earring back. It is easy to wear but the security offered is questionable as the backing works on the basis of friction. These variants solve the security problem. The post here has a threading and the backing is screwed onto the post. As it is almost impossible to be unscrewed without human intervention, these provide the highest amount of security. The only negative is that these take slightly more time to put on. These offer hinged backing and are mostly used in case of hoops. These are an extension of the fish hook. They contain a lever that completes the hook and avoids slippage of the hook from the hole. How to Choose Earrings For Your Face Shape? It is a very common behavior to choose earrings based on the skin tone or the attire. However, experts suggest that it is more important to select the earrings based on the face type. 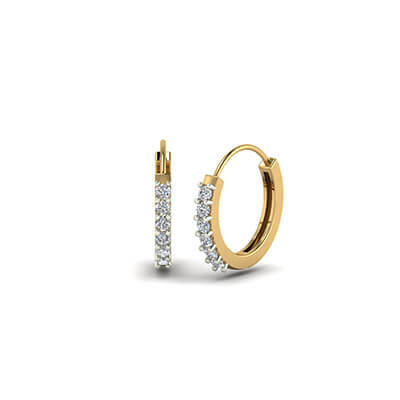 Choose earrings that flatter your face type and you are sure to turn a large number of heads. Interesting, isn’t it? Read on to find out more. 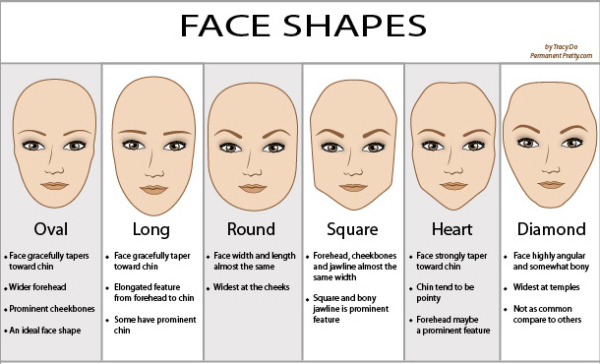 The below image shows the dominant face shapes that are seen these days. If you have the correct understanding of your face shape, then there is a higher chance that you will buy the best earrings for yourself. Also, it is important to note that the overall shape of the earring is as important as the style that you are going for. Its shape has to compliment your face shape. 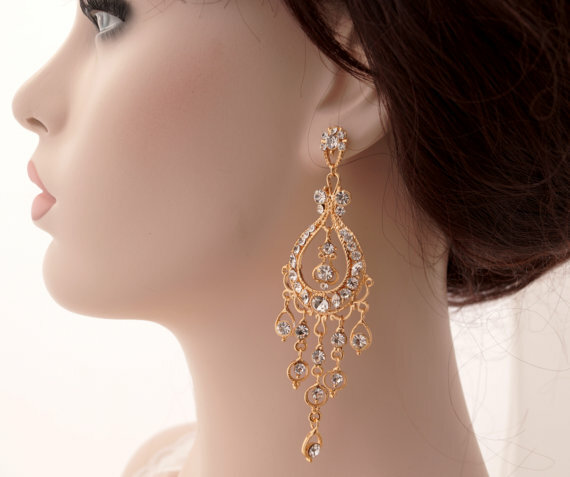 Below we have listed out the different face shapes and the type of earrings that suit them. Women with these face shape are indeed lucky as almost all styles suit them. 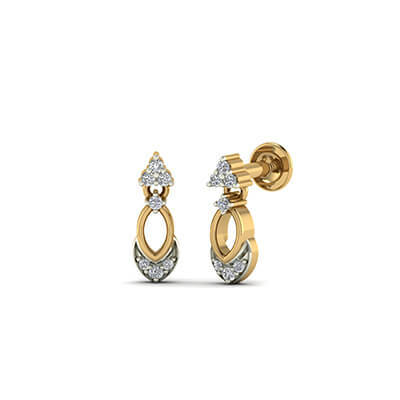 However, a striking appearance can be created by selecting oval shaped earrings. Even tear drop earrings are a good bet. It is important to add softness to such face shapes and clustered pearl earrings that dangle would be a good choice to achieve this. 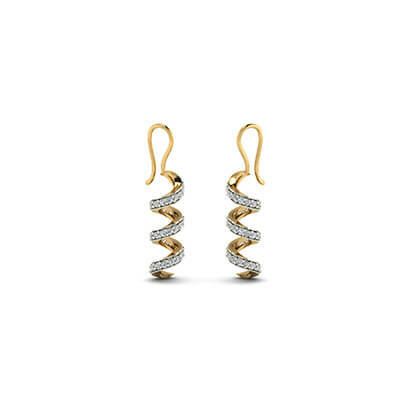 Elongated curves in the earrings should be preferred as they will accentuate the cheekbones and minimize the length of the face. As opposed to long faces, the jewellery should give an elongated look to the face structure. Thus, tear drop and dangle earrings could be a good choice. But you need to ensure that the design is angular rather than being rounded. These faces tend to have strong cheek bones and the earrings should soften their appearance. Hence, rounded designs, slightly elongated, would be a very good choice. Trendy oversized hoops are also a good option. Dangles, teardrops and chandeliers are apt for this face structure. Make sure that the design features elongated curves as these will draw attention towards the cheekbones, jawline and eyes. Dangles and hoops will work well with this face structure but care has to be taken to select ones with soft curves. Exaggerated curves could further accentuate the already sharp cheeks and jawline. Thus, they should be avoided. « It’s Rakhi time! Get your brother a BEST BROTHER pendant! 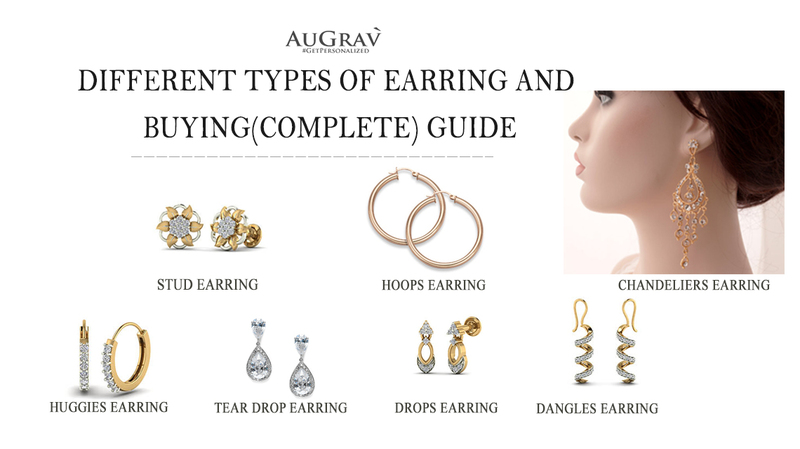 Different Types of Earring and Buying (Complete) Guide Overall rating: 4.7 out of 5 based on 235 reviews.